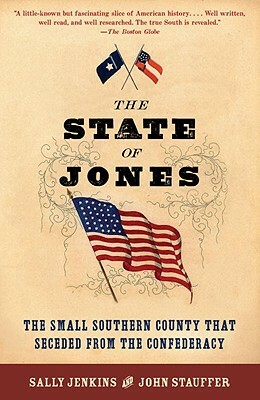 The State of Jones, by Sally Jenkins and John Stauffer, is about Jones County, a small county in Mississippi during the Civil War era which ‘seceded’ from the Confederacy. The title is misleading; the book is really a biography of Network Knight. It tracks his life, and sheds some light on this elusive character of the Mississippi Swamps. 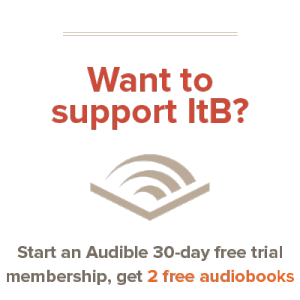 The book is highly enlightening about the Civil War during this time, but has some problems that prevent me from recommending it wholeheartedly. First of all, Newton Knight’s achievement needs to be explained. During the Civil War, shortly after the Confederacy passed the 20 Slaves Law, Newton deserted from the army. He had joined reluctantly, but this law, which made the Civil War a rich man’s war, but a poor man’s fight, was the last straw for him. Newton was tired of all the carnage, and he headed back to his home in Jones County, Mississippi. There, he started the Jones County Scouts, which was an organization of Union sympathizers in the heart of Mississippi. The book tells of many of their exploits. Newton Knight surely was an interesting character. His strong stance about equality and his fair treatment of African Americans in an era of slavery is definitely noteworthy. One can’t help but admire his stand against the Confederacy deep in the heart of the Deep South. The authors weave an interesting story of his life and relive his battles and victories in the swamps of Mississippi. His story is definitely enjoyable and a good look at history. That being said, I would have trouble recommending this book to anyone. Particularly in the beginning of the book, there is a lot of description of war, in its plain and unvarnished form. I thought watching war movies made me appreciate the awfulness of war; I take it back; this book made me completely hate and abhor everything connected to war. It went so far as to bother me, and almost made me put the book down. But this is accurate: this is how war really was. And the awfulness of the war was what made Newton Knight desert. One other thing that bothered me about the book was how free it was considering Newton’s married life. He married, early in life, to a woman named Serena, and had many children with her. But especially during the war and after the war, Newton grew closer to Rachel, a slave woman whom he later had many children with. The book doesn’t go in to any details that are inappropriate, but it just doesn’t say anything. Newton was not married to Rachel, he was married to Serena, yet the book does nothing to show how negative this is. This is another thing that highly bothered me with this book. Overall, this is an interesting book. It’s about history; events that really happened. And it does show that the Civil War was not this ‘glorious last stand’ by the South that historians often portray it as. There were many Unionists in the South. On the other hand, the book presents the unvarnished truth, sometimes disturbingly so. While the biography part is good, I just can’t recommend this book. I highly urge any of you thinking of reading this book to give some serious thought to it first. Violence would be the greatest factor in that. Still, for a Civil War book, it probably could have been worse.